Immigration on the U.S.-Mexico Border: Is it Really a Crisis? A Grant Writing Tools seminar designed to write and review succint sentences, adjectives, and verbs. The second part of the Grant Writing Tools Seminar focusing on editing your proposal. A two-day seminar with Dr. Robert Penna, author of the book The Nonprofit Outcomes Toolbox: A Complete Guide to Program Effectiveness, Performance Measurement, and Results. This complex and difficult training has been expertly crafted by Dr. Penna so non-profit administrators and managers can integrate the practice into their day to day management styles with simple and focused steps. This seminar is not about inputs and outputs for non-profits; it concentrates on long-term outcomes. At this event we had nonprofit organizations from Laredo, Nuevo Laredo, Monterrey, and Saltillo. 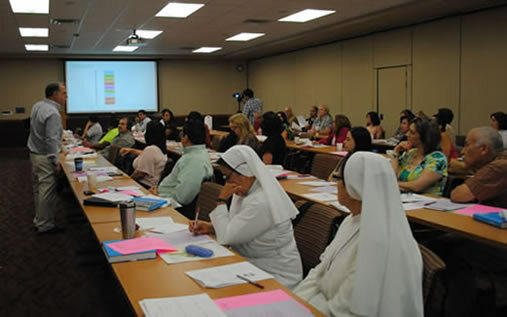 The Texas A&M International University Binational Center in a collaborative effort with the U.S. Department of State will train and provide the Mexican volunteers and employees of Mexican non-profit organizations with the necessary tools for successful non-profit organization management and fundraising. This was a special event* created for a nonprofit organization that was looking for specific topics for their board members and staff. 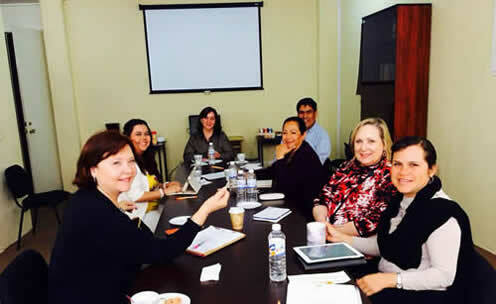 This was the first meeting of 2014 and the first in Saltillo, Coahuila, Mexico with our International nonprofit organization. 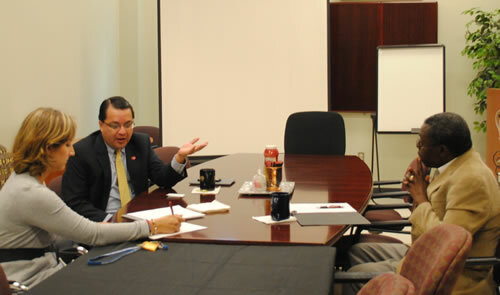 The meeting took place at Instituto Mexicano Norteamericano de Relaciones Culturales. We had members from Monterrey, Saltillo, and Laredo in attendance. 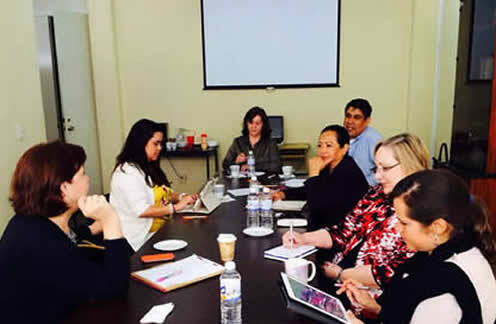 The Binational Center hosted a group from Guadalajara and from Saltillo, Coahuila for a week of learning on the topic of fundraising in an international community for nonprofit organizations. A continuation of last year's Summer Institite, this is a two-full-day seminar with Dr. Robert Penna, author of the book The Nonprofit Outcomes Toolbox: A Complete Guide to Program Effectiveness, Performance Measurement, and Results. This complex training expertly crafted by Dr. Penna for non-profit administrators and staff to integrate into their day to day styles with simple steps concentrated on long-term outcomes. A catch-up session is available for those who have not taken Session I. Please contact us for more information. To see the flyer for this event, click here. This was the second part to the "Exploring Fundraising in an International Community" seminar which took place last year. 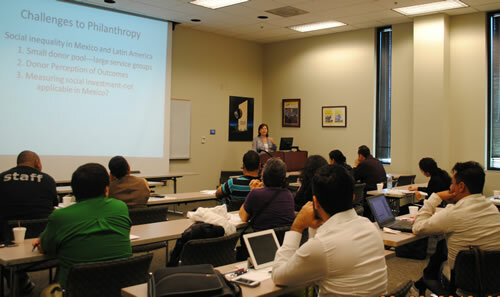 Some of the attendees included representatives from nonprofit organizations such as Alternativas Pacificas - Monterrey, Fundacion Down 21- Nuevo Laredo, Paz Es - Monterrey, Instituto Nuevo Amanecer - Monterrey, GESSAC - Monterrey, Casa de la Cultura - Matamoros, and Barrios para Cristo - Nuevo Laredo. The Binational Center traveled to Zacatecas, Mexico to present ths seminar for nonprofit organizations in Zacatecas and surrounding areas. Some participating organizations include Asilo de Ancianos-Jalapa, Banco de Alimentos de Zacatecas, Federacion Zacatecana AC, Asociacion de Silvicultores de Valparaiso - Zacatecas, Fundacion Jovenes Zacatecanos, Cambio con Rumbo para Zacatecas, and Unidad Binacional con Equidad y Transparencia among others. The seminar took place at Instituto Tecnologico de Zacatecas and was presented by our U.S./Mexico Coordinator, Mariana Barberena. The Binational Center traveled to Durango, Mexico to present ths seminar for nonprofit organizations in Durango and surrounding areas. Some participating organizations include Banco de Alimentos de Durango, A.C., Federación de Mujeres Trabajadores Oficios Varios, A.C., Durango Emprende, EQUIPAZ, Tetoka Voluntades que Transcienden, among others. The seminar took place at Centro Cultural y de Convenciones Bicentenario de Durango, with the help of the Office of Internatonal Relations of the State Government. 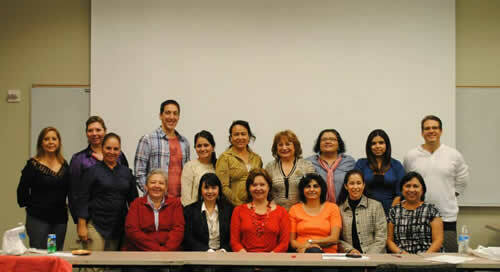 The workshop was presented by our U.S./Mexico Coordinator, Mariana Barberena. * Please contact us if you would like a special workshop made specifically for your organization's needs.